This particular day was special for me. I’d decided to splurge – I mean it was the end of Uni, how could I not? It started with Roll’d. Now I’ve walked past about 3 of their outlets and never really given it a thought; having been to Vietnam I couldn’t really see it “wowing” me. I stepped up to the counter with absolutely no idea what to order so I decided to just play it safe, 6 pork spring rolls ($6) and a bbq chicken banh mi roll ($7.2). After placing my order I grabbed a seat and waited for my name to be called, a couple of minutes later here it was. 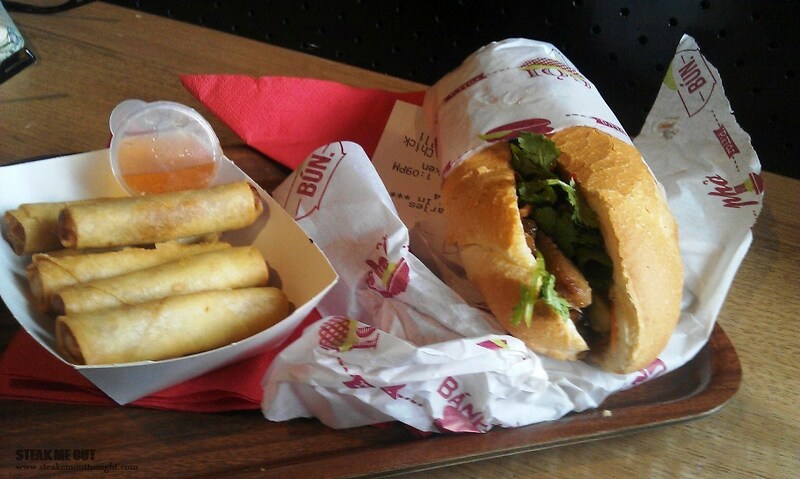 The Spring rolls were great, fresh, tasty and not completely oil soaked – you could tell they were home made too. The banh mi was good, and don’t get me wrong I enjoyed it, but I would definitely have preferred a Nhu lan or N lee bakery one. 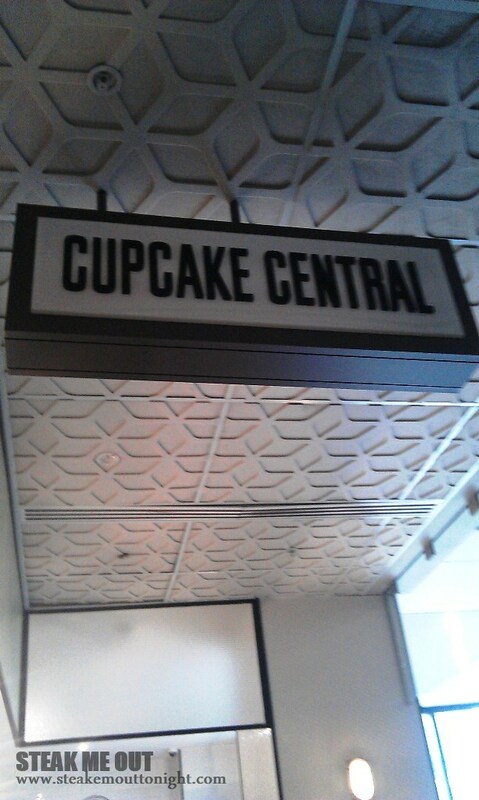 Who doesn’t love a good cupcake? I for one need to actively discourage myself from buying and consuming them. I’ve been here before and tried a couple of different ones, but my favourite is still the salted caramel. The frosting is soft and luscious with the cake being sweet, salty and moist. 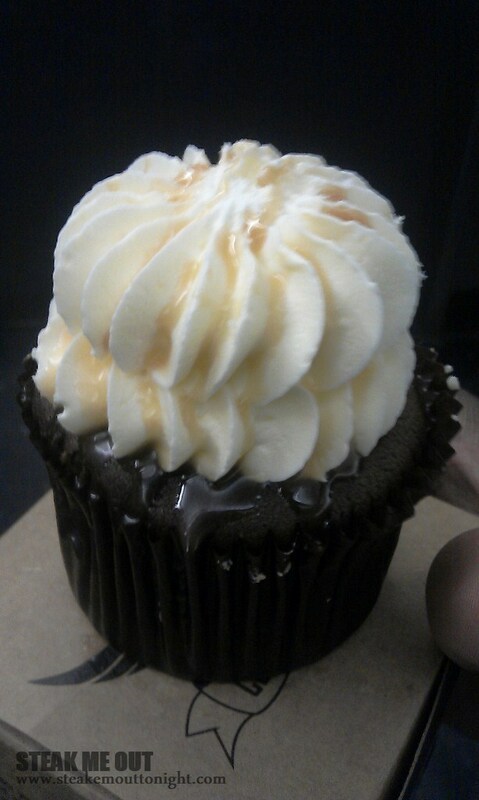 As they say, a cupcake a day keeps your troubles away – and that day I certainly didn’t have any troubles. The Lounge is an old favourite of mine, I’m quite fond of the way it sometimes smells like maple syrup and always filled with beautiful women. It’s dimly lit, with tables, couches and a pool table in the corner. They do a different $10 lunch special every day occasionally extending it to dinner. 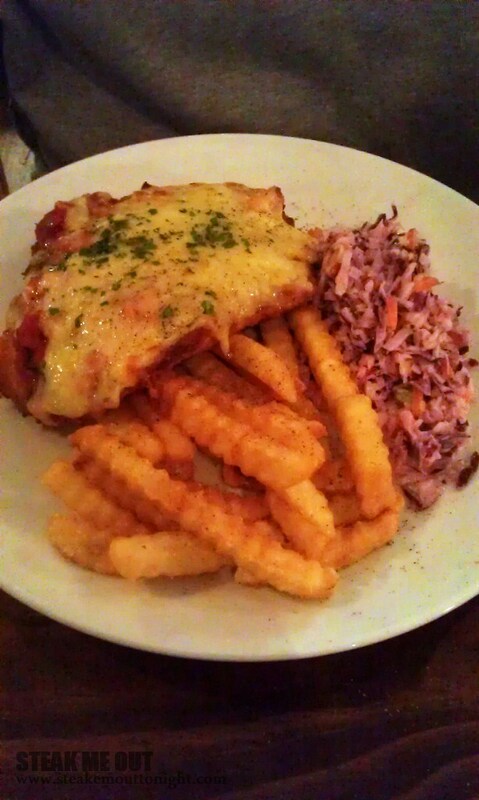 Mondays are great with a $10 Parma and $12 student jugs. 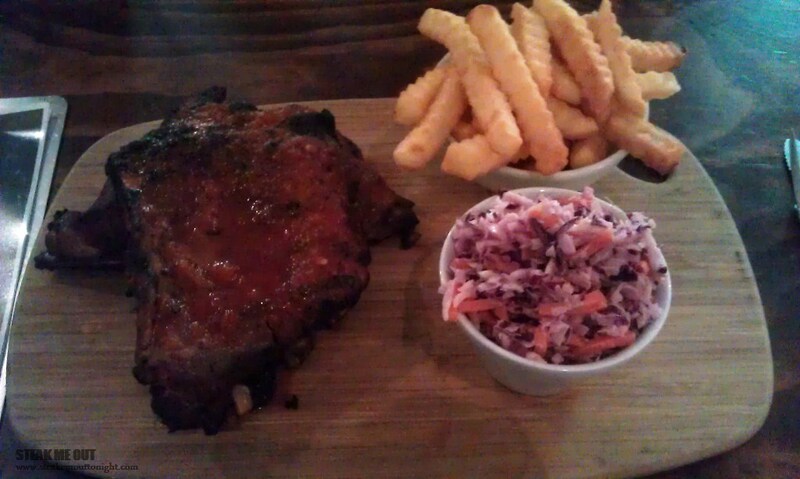 Tuesdays have their Kickassburger as the special and Friday lunches are Texas style BBQ ribs, coleslaw and chips for $10 with jugs $12 between 2 and 6pm. It’s a fairly inconspicuous building, the only things which alert you to its presence are the bouncer outside the door and once you’re in front of it the Mountain Goat sign. Walking in it’s a great space which has been dressed up very modestly, and you can see the brewing vats and factory in the back as you enter. They do 4-6 beers on tap ranging from their classic steam ale all the way up to a fantastic stout and a heavy hitting IPA. 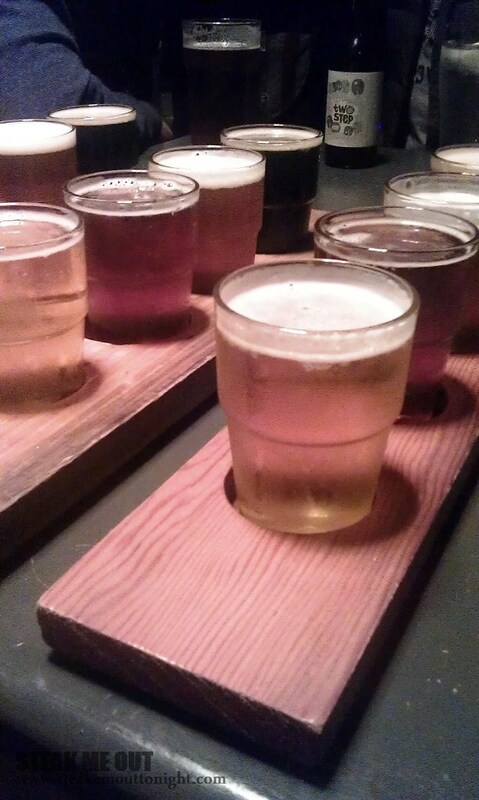 Pots are $5 for most while Pints are $9 with a tasting paddle of 4 different beers (queue Length permitting) for $11. 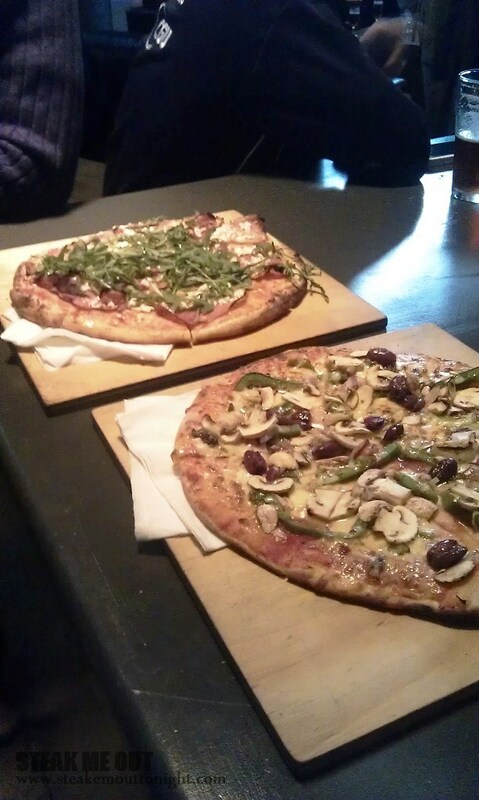 They also have a variety of pizzas all made to order for when you get peckish during your extensive beer tastings, there is a menu of 7 with 2 rotating specials. I believe we went with the no.3, no.4, no.5, no.6 and no.7; unfortunately the night transpired rather quickly and I was only able to snap a picture of the number 3 and 7. The Brewery is great deal of fun, but you’ve got to plan ahead because it’s only open Wednesdays and Fridays. 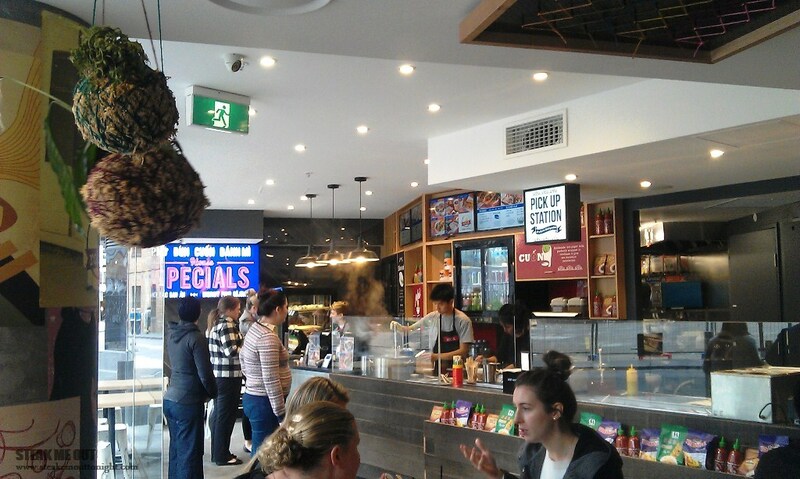 Posted on October 27, 2013 November 18, 2013 by AdrielPosted in Meats, Melbourne, Ribs, SteakLESSTagged Bánh mì, Beer, Brewery, Cupcakes, Good, Great, Melbourne, Mountain Goat, Pizza, Pork ribs, Richmond, Salted Caramel, spring rolls.